Best online tutors| ibdp | as & a levels | ap | igcse | sat | gcse | aus | ielts | toefl | cbse | icse | jee | neet | spoken english | business communication | accent training. * regular updates to the parents regarding child's progress . * audio, video integrated, engaging and interactive learning experience. 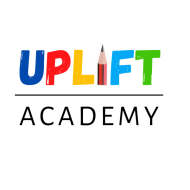 Uplift Academy conducts classes in ACT Exam Coaching, French Language and GMAT Coaching. It is located in Rohini, Delhi. It takes Online Classes- via online medium.